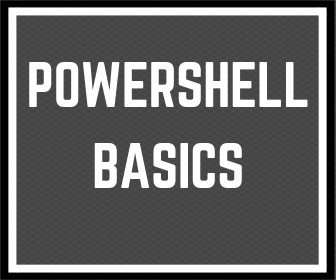 Hi, this is Po(sh)land blog about basics Powershell for everyone. In a post about preparing final version Powershell Script, I wrote about the steps which everyone can use to finish script with best practices. I think that in this can help the Powershell script template. Now, I don’t want to write technical Powershell tips. Today I want to ask you how many scripts you write in a week or month. 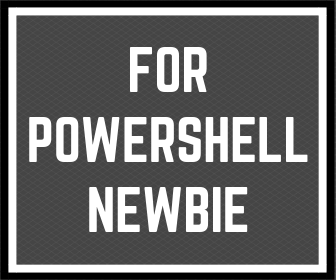 If you are the beginner user of Powershell, please let me know how can I help you starting with writing scripts. Last few days, I think about Powershell script template to share with you. Everyone can search on the internet several scripts templates. But maybe you can tell me what the template should include. I think about a template with basics functions for reading *.ini files, logger to file and dynamically generates directory for *.log files. Please let me know what can I add to this Powershell script template. Please write in the comments. I will use almost all need and add to the template. As a result, I want to help you to faster write PS scripts. 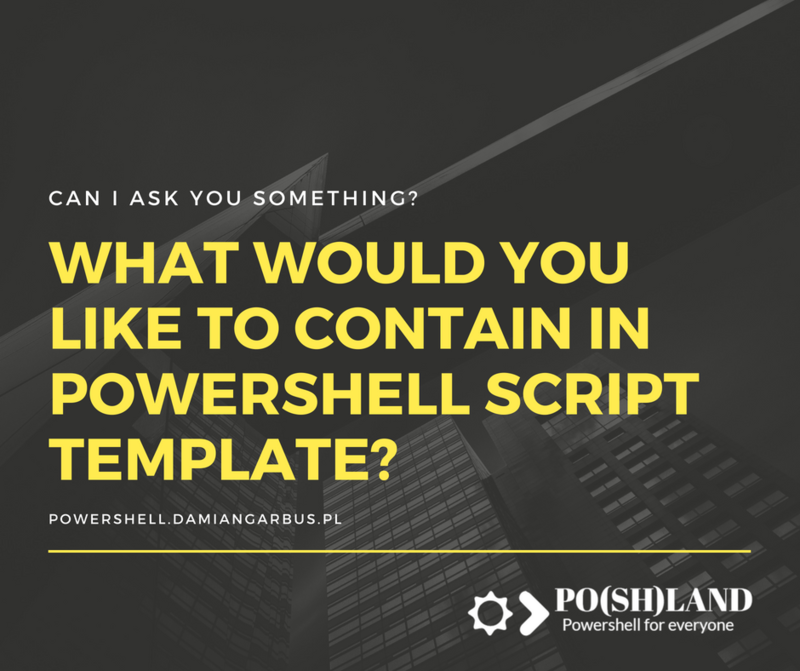 1 Response to "What would you like to contain in Powershell script template?"